Last week, thirteen universities came together to run the UK’s biggest Venture Crawl. 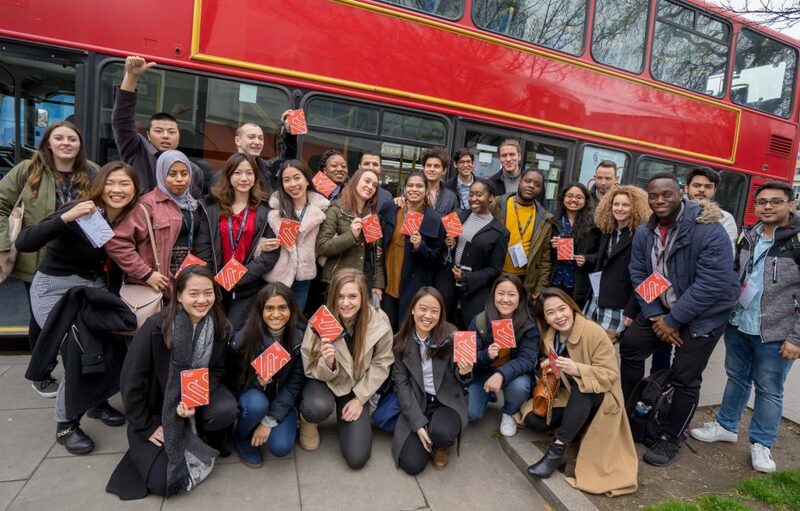 Eight buses transported 300 students around London on routes designed to stimulate entrepreneurial skills, creative thinking and action. Universities that took part in the event include King’s College London, UCL, London South Bank University, Brunel University London, The University of Westminster, Loughborough University London, Birkbeck University of London, University of East London, London College of Fashion, The University of Greenwich, City University of London, Regent’s University London and The University of Manchester. As part of the tour, Loughborough University London students visited a collaborative workspace called Work Life and met the co-founder of local start-up, ‘The Canvas Tribe’. Students also visited One Tech and discussed the support that is available for underrepresented tech founders in London. One of their main goals is to double the number of female and BAME-led tech start-ups raising investment through our programmes. Students heard how One Tech is making support available for underrepresented tech founders in London and how it is working with investors to enable them to make better decisions. Other spaces included Huckle Tree and WeWork which are coworking spaces for entrepreneurs, start-ups and growing businesses. The Venture Crawl ended with a celebratory event at Plexal, Here East and provided an opportunity for students to network with each other and the organisations involved. Students were also invited to take part in a pitching competition to pitch their business idea to a panel of entrepreneurs. Find out more about Venture Crawl 2019 by reading our news story. You can also find pictures from Venture Crawl 2019 over on the Loughborough Enterprise Network’s Facebook page.